Enjoy personal service, comfortable lodging and exhilarating wildlife encounters during your Mpumalanga safari at Arathusa Safari Lodge. 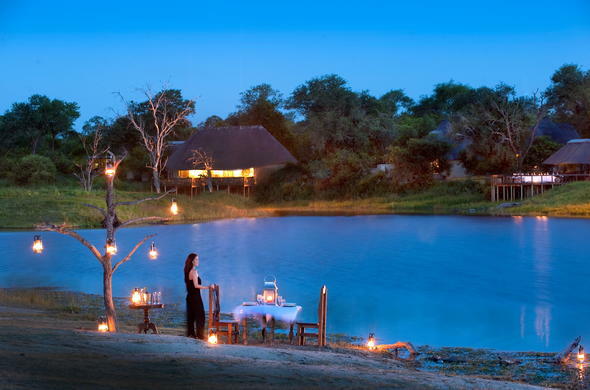 Arathusa is a game lodge in South Africa situated in the Sabi Sand Game Reserve. The exclusive Sabi Sand Game Reserve forms part of the world famous wildlife sanctuary, the Kruger National Park. The accommodation at this Mpumalanga game lodge in South Africa is spacious and elegant with luxury en-suite thatched rooms. The small guest numbers ensure complete tranquility and exclusivity in the heart of the African bush. Relax in the infinity swimming pool and enjoy amazing sightings of animals and birds coming to the waterhole to drink and refresh. For the more wild at heart, enjoy exhilarating game drives and game walks, all conducted by experienced and armed rangers and trackers. Experience immaculate attention to detail and personal service at Arathusa Safari Lodge. The in-house chef tantalizes your taste buds with delicious meals cooked on an open fire and served in the outside boma (open air enclosure).